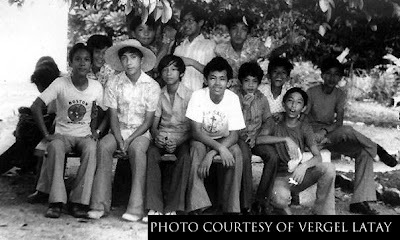 I have only ever been to Puerto Galera but once in my entire life, and this was long before it evolved as a commercial destination for tourists and weekend beach-goers. The year was 1973. I was in my junior year in high school and we were required to join a field trip to the town for our Biology class. To investigate, we were told, the marine ecosystems in the lagoons that the town would later become world-famous for. Coming as I did from an Air Force family, and living as I did in a land-locked city, I have always had a preference borne out of familiarity for air over sea travel. The prospect of the hour-long trek over Batangas Bay to this then-obscure little town excited me; but it also filled me with a sense of dread. Blue seas, I have always thought, are a pretty sight to behold; but I have also always preferred to do this from dry land. This was a class outing, though; and the dread was off-set by the fun certain to be derived from having a few days out with classmates. Finally, the day of the trip arrived. We gathered early in front of school and were whisked away in a bus to the pier, where we arrived after about half an hour of travel. That day was almost 37 years ago, mind; but I seem now to recall that there was an ocean-going cargo vessel by the pier. It would have been reassuring had we been booked to cross the bay in such a towering vessel. Instead, we were led to this rickety wooden boat that seemed straight out of a Johnny Weissmuller Tarzan movie. We were warned by the crew to be careful in crossing the narrow and slippery gangplank onto the boat. When it was my turn, I was ever so thankful for the athleticism I gained from the football field because my sneakers could barely grip the wooden plank. I did, in fact, slip a little. A little more and I would have been the trip’s first casualty; but I managed to regain my balance and cross over to the boat with alacrity. Land-bound denizens that I and most of my classmates were, there was – naturally – much fascination for the colorful fishes that swam close to the boat. Somebody did warn us not to point at the fishes because it would bring bad luck. Superstition, somebody else retorted; and we thought no more of it. The crew soon threw off the thick ropes that kept the boat anchored to the pier; and we went on our way. Once we got going, I remember thinking that things were not so bad, after all. Strangely enough, for somebody making my first-ever trip by sea, I was not at all bothered by the swaying of the boat as it rode the gentle waves. Initially, I was content to stay at my seat and soak in the sights from where I sat. I remember my joy at seeing schools of dolphins chasing after our boat and jumping out of the water as though to catch some attention. When I was certain that I would not be sick due to the swaying motion of the boat, I even brazenly joined a few classmates upfront to sit at the bow. Looking over the edge, I even caught sight of what must have been a twelve-foot shark as it momentarily swam half out of the water parallel to the boat. After an hour or so of travel, we were almost there. 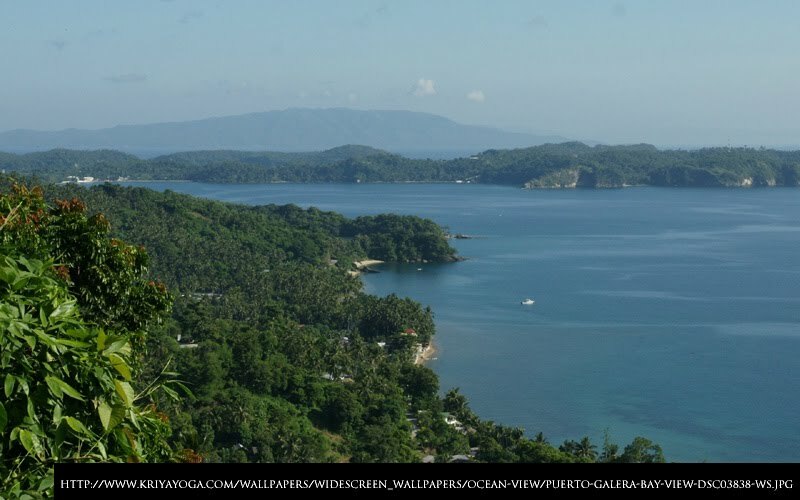 The sight that greeted us was picture perfect: hills the sides of which dropped off into the breaking waves; coconut trees swaying in the breeze; and spots of glistening white sand in places. As the boat wove its way around the lagoon, the scenery was even more breathtaking! The water was deep aqua-marine, glistening in places where it reflected the sunlight. There were coral reefs to see beneath the crystal-clear waters and schools of fishes going about their mundane lives. At the small wharf, we disembarked into this small then-sleepy town. We were led along a creepy acacia-lined road to our hostel, which turned out to be this unfinished concrete structure the construction of which seemed to have been abandoned due to a lack of funds. We were billeted at the third or fourth floor, and getting up there was a nerve-wracking experience. The concrete steps of what passed for stairs were held together by wires. The steps rocked when somebody stepped on them. After lunch, we all gathered at the wharf again for our first activity: a visit to the coral reefs out in the lagoon. I am not sure now about the numbers; but I seem to recall that there were more than a hundred of us students and chaperones. On the wharf to take us out were these two big outrigger boats. One was open; but the other one had a cabin sitting on its hull. To be fair to the organizers, I will not categorically state that the boats were overloaded after we were ushered to board these. I, myself, was in the open boat. Looking at the other boat, where some students opted to sit side-by-side atop the low cabin roof, it was easy to see afterwards why there was talk that a third boat should have been hired. What I am not certain about now is whether those on the roof were there as a matter of personal choice or if they were told to sit there. The view – after all – was simply unbelievable! Our boat was first out of the wharf. Halfway to the coral colonies, as we students gathered one side of the boat to look overboard at something, our boat nearly flipped over. The boat hands were alert, though, and shepherded everyone to the center to balance the boat back. We all had a good laugh and thought no more of the incident. Meanwhile, the other boat went around the long way. When our boat was right next to the reef – where we could stand waist deep in the water – the other boat was still in deep waters. The boat started to tip over, and I remember we even laughed as it did so because the same thing happened to us just a few moments earlier. However, instead of regaining its equilibrium, the boat totally flipped over and capsized! Belatedly, we all realized that this was no laughing matter anymore. We were asked to jump into the reef so our own boat could come to the other one’s rescue; and in the waist-deep waters, we soon realized that the thrashing on the waters around the other boat was not kids’ play at all. Moreover, everyone feared for the lives of those who were trapped inside the cabin, which was now under the hull. It is strange how ordinary students become instant heroes in a life-and-death situation. 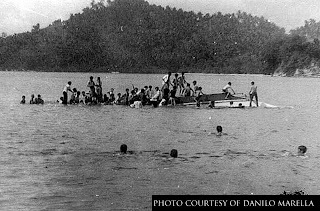 There were many who could not swim; but those who could risked their own lives to pluck classmates from the claws of death and help them onto the overturned hull. Some even dove under the boat to rescue the ones trapped inside the cabin. Regrettably, in spite of their efforts, there were three fatalities from that lightning-quick incident. One was the Secretary to the Principal. She had joined the trip to be one of the adult companions. The other two were a mother and her young daughter, both of whom were there for a brief getaway. Neither was even connected to the school. Despite this unfortunate turn of events, there was still this overriding sentiment that, at the very least, all the students survived the ordeal. The trip was ruined, of course. All other planned activities were, naturally, suspended. Instead, an impromptu wake was set up after the town mayor donated caskets for the fatalities. Back in Lipa, news was sketchy and distorted, as was bound to happen. The overwhelming misconception was that it was the inter-island vessel, rather than an outrigger boat, that had capsized. 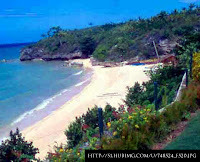 These days, when I get invited to a trip to Puerto Galera, I politely say I will think about it. But 37 years have elapsed since I went... I am not discounting a return, but it will have to be for a very special reason indeed!